I keep coming up with good ideas for this weekly digest so I had to add a section. The last part is dedicated to fun stuff and may or may not relate to what we discuss on the NUR blog. This week, Joan Durbin at the North Fulton Neighbor was on fire with several notable stories. Whether or not T-SPLOST passes, some interim improvements will be evident in the near future. With additional funding and guided by the recommendations of this study, whole-scale improvements can be made in the future that will revitalize this inadequate intersection, bringing with it a welcoming and functional entrance to Roswell from 400. The locations are the lot next to Wells Fargo on the west side of Canton Street and a lot on the east side between Ga. Hwy 9 and Canton Street that used to be the old city fire department years ago. This is a great sign that Canton Street is doing all the right things. Little Alley Steak, Inc Street Food, Salt Factory and Table & Main made the list in that order. You’ll have to check out the magazine to see where they weighed in. the definition of a block should be based on the legal structure of urbanism. Therefore, a block is legally defined as private property surrounded by public rights-of-way. By this definition, a block is one of the two fundamental units of urbanism (alongside the right-of-way) reflecting the two types of property (private and public, respectively). The article also uses an example from up the road in Alpharetta to illustrate the absurdities of suburban ‘blocks.’ They managed to find one has a perimeter of 12 miles! We need more connectivity and smaller blocks. Today, the most common misunderstanding I find about mixed-use is that most people think it equates, on any street or in any context, to a shopfront with housing above. In short, mixed-use makes for three-dimensional, pedestrian-oriented places that layer compatible land uses, public amenities, and utilities together at various scales and intensities. This variety of uses allows for people to live, work, play and shop in one place, which then becomes a destination for people from other neighborhoods. As defined by The Lexicon of the New Urbanism, mixed-use is multiple functions within the same building or the same general area through superimposition or within the same area through adjacency… from which many of the benefits are… pedestrian activity and traffic capture. Ultimately Smyrna has to prove we have the demographics to ensure Trader Joe's can survive. It's not about where we want it and why. Will Trader Joe's consider Smyrna and why? Read this article, you just might learn something that will keep you out of trouble when walking or driving. Here’s a stat that I wanted to be sure got out there. ...four people are hit by cars each day in the metro Atlanta area. (Sally) Flocks said between 70 and 80 pedestrians are killed each year in the metro area and more than 20 percent within 100 feet of a transit stop. In the past decade, other suburban cities including Woodstock, Norcross and Suwanee have tried to reinvent their downtowns by launching major projects. Those ideas reflect principles of New Urbanism, a countermovement to the development patterns in the 80s and 90s across metro Atlanta that to suburban sprawl. New Urbanism aims to create public spaces, such as a city center, where people can congregate in parks that are near shopping, restaurants and entertainment. Unfortunately, Roswell didn’t get a mention in the article but we are doing great things and our historic district has arguably been more successful than any of the towns that were mentioned even though they pursued very high profile projects. Top 10 Best & Worst Cities to Live - This ranking used a very interesting methodology. Number one on the list, Hong Kong. Last on the list, Tehran. Best US City, Washington DC. What the World Would Look Like Covered in Lego - Simple and Fun.. I’d love to drive under this bridge..
Holcomb Bridge - Georgia 400 Plans Unveiled - NorthFulton.com - The long term plan for the HBR-400 interchange was released this week. It looks like a great plan to improve virtually all aspects of the intersection; traffic flow, pedestrian and bike paths and aesthetics. The project would take about 20 years to be complete and, oh yeah, almost $100M. If you like it, there is a sizable portion of that money allocated to the project in the TIA2012 penny sales tax. BTW.. I’m voting yes. July 4th Celebration at Roswell High School - That’s pretty much the biggest thing going on this week in Roswell. It’s not urbanism related but I figured it was worth noting. Pure Taqueria Making Progress - The building frame is going up right now. Can’t wait for some tasty Mexican food later this summer! Ryan Pernice of Table in Main on Using Twitter - Ryan is quoted in this Restaurant Management Magazine article about how T&M uses Twitter to entice his followers. They send out a number of pictures of their specials. I’m a follower and am often left with my mouth watering. Follow them on twitter @TableAndMain for some great pics.. You’ll get hungry. Economic Development Meeting Scheduled - There will be a public meeting at City Hall (room 220) on 7/12 from 7-830pm to present the new Strategic Economic Development Plan to the public. ...a former candidate for governor now running for commissioner of Cobb County, just north of Atlanta, condemned plans to build a jogging and biking trail alongside a highway because, "That's Agenda 21. Bicycles and pedestrian traffic as an alternative form of transportation to the automobile." You want more? You’ll have to read the article. This one will make your head spin. With an obesity epidemic, weight-related childhood issues and soaring healthcare costs, the point of this article should resonate with all of us. Safe, walkable neighborhoods are not just an amenity, they're a matter of life or death. They create environments where we can live active, engaged lives. And more walking brings more social interaction, more time outdoors, more recreation, more smiles and more "life" in every sense. Drive around and you’ll see a nondescript upscale suburb, where the most notable features are traffic lights that seem to take five minutes to turn green. There is no downtown, or at least anything that looks like a main street. Instead, there are strip malls with plenty of usual-suspect franchises — although one strip mall, oddly enough, includes a small museum that tells the story of Anne Frank. Toomer (Elementary) underwent the most dramatic shift with the percent of white students rising from 0% to 23%. Bolton Academy was not far behind with the percent of white students rising from 5% to 19%. This list was actually not that surprising to me. First, Atlanta is not in it. No surprise there. The two southeastern cities that were on the list were Nashville and Raleigh which seem to be becoming more desirable than our region. Look at the list and think about the implications of the TIA2012 referendum. I’d say that Atlanta might be able to budge its way back into a list like this if the Beltline becomes a reality. Subscribe to our video feed on YouTube! Here's what we found this week out there.. This Tuesday, the final public input meeting will be held for the Holcomb Bridge Road Corridor Study from 5 to 7 pm at the Holiday Inn at 909 Holcomb Bridge Road. The Groveway Architectural Design Guidelines were released. Check out the document here. This document clarifies a lot of the questions that were found in the hybrid form-based code document. Robert Shiller of Yale University documents that from "1890 to 1990, the rate of return on residential real estate was just about zero after inflation." Other studies have shown how America’s historic over-investment in housing has distorted its economy, leading to under-investment in technology and skills. Or as Nobel prize-winning Columbia University economist Edmund Phelps bluntly states it: "To recover and grow again, America needs to get over its 'house passion.'" This article made it to the top 5 simply because of the quote below. Think of how many worthless buildings we have dotting the landscape that were not beautiful when they were constructed and are decaying now with little hope of ever becoming commercially viable again. Some of the solutions to the conundrum that the post recommends are Form-Based Codes, Updating Infrastructure Standards and ceding more control to localities. I can’t tell you how much I loathe the conversation going on about the transportation tax right now. The opening paragraph of this article sums up my thoughts pretty nicely below... no ned to say more (but I will in this month’s Roswell Current). Bickering over the number of lanes on a road project. Debating whether the Atlanta Beltline will reduce a Cherokee County soccer mom's commute time. Or, for that matter, if a Sugarloaf Parkway expansion will help a Little Five Points barista have better access to transit. It’s no secret that we like walkability and bikability at NUR. We recognize that not all areas are walkable and bikable and accept that they never will be. Cars are necessary tools just like a hammer and chainsaw but I generally don’t use a hammer or a chainsaw for every task that I do. That being said, our national legislature continues to pursue a ‘cars only’ agenda.. the four bullets below is all you need to know from this Sierra Club post. Nationwide, biking and walking account for almost 12% of all trips, yet biking and walking infrastructure receives less than 2% of all federal transportation funding. One particularly egregious demand from House Republican negotiators is that the Senate eliminate the Safe Routes to School program. 83% of Americans support maintaining or increasing funding for biking and walking, including 80% of Republicans. I agree with most of the buildings on this list.. most notably the Boston City Hall. Yikes! So, what buildings in Roswell need to be “Demolished Right Now?” I’d have to say the AT&T building on Oak Street is on the list. How about the entire south east quadrant of the HBR/400 interchange? This week, we have a little bit of everything for you. There is so much to talk about in Roswell that I’m starting off with a Roswell top 5 and then getting into a more general top 5. Enjoy! Roswell Seeks Input on Unified Development Code - Roswell Neighbor - Our city is undergoing a complete revision of its zoning code over the next two years. The first public meeting to kick this effort off will be on 6/20 from 6pm to 730pm at City Hall. Roswell Hosts Holcomb Bridge Open House - Roswell Neighbor - There will be a public information open house on 6/26 at 5pm at the Holiday Inn at 909 Holcomb Bridge Rd. The Roswell DOT will be presenting their recommendations for changes to the HBR/400 interchange to improve traffic flow and pedestrian safety. Street Closure for Alive After 5! - Finally, it’s a true block party! This has been needed for a while. Pasti’s Looks to Replace Windows - RoswellGov - Pasti’s is looking to open up and liven up their facade by replacing their windows with retractable glass garage door style windows. I think this will really help that building engage the street a little bit more. Plus, it takes the building back to it’s roots when it was a car repair shop. Fulton’s Mobile Food Trucks to Stop in Roswell - Roswell Patch - This isn’t the type of food truck that has become so trendy these days. This truck is more of a grocery store on wheels that is meant to serve areas in Fulton county that are lacking in grocery stores, aka food deserts. The truck will be at Zion Baptist Church every second and fourth Wednesday at 1pm. Top 5 From Around the Web - The Atlantic Cities was on fire this week. I honestly could have filled up five spots with just articles from that site. However, we did spread the wealth a little bit. Enjoy this week’s reading. The Need for Walkable Growth Near MARTA Stations - ATLUrbanist - This post makes a pretty good case for what we all know to be true, that our MARTA stations don’t work very well because cars don’t ride trains.. people ride trains. Unfortunately, MARTA built a lot of stations to focus on getting cars to the trains rather than the trains to the people. Debating the Root Causes of Zombie Infrastructure - The Atlantic Cities - This article is a perfect example of what everyone who wants to build more walkable, livable environments is up against. Check out the ‘beautiful’ strip mall. New Evidence that City Trees Reduce Crime - NRDC Switchboard - We need more trees.. this comes on the heels of another article that points out that income inequality can be discerned from google maps. Both of these are interesting reads and point to the importance of trees which we have no shortage of here. However, what we do have a shortage of is political will to battle GDOT to allow larger trees along our streets. Are you tired of seeing crape myrtles? ..in areas with strip malls, crashes increased 2.5 percent. In areas with big box shopping centers, crashes increased 7.2 percent. Pedestrian-scaled retail centers, on the other hand, were found to correspond with a 2.9 percent decrease in crashes. Crashes were higher on arterial roads and lower in areas with higher amounts of slower side streets. For older pedestrians and cyclists, arterial thoroughfares and big box shopping centers were associated with significant increases in crashes – 28 percent and 8.6 percent, respectively. When are we going to get it that we need to be concentrating our infrastructure dollars and development on building fine grained, walkable places. We're once again trying something new here. The plan is to post this weekly. Each week, I will be sifting through the noise out there (I already do that) to bring you the top five stories of the week related to new urbanism, complete neighborhoods and Roswell. First though, please check out my most recent article in the Roswell Current, The Elusive Neighborhood Grocery Store. In no particular order, here’s what we have this week. Chicago wants to eliminate all pedestrian, bicycle and overall traffic crash related fatalities by 2050. I’d love to see Roswell take on a challenge like this. We should start by lowering all of our current 25 mph speed limits to 20 mph. The 20 is Plenty movement is a great one that will reduce deaths worldwide if it can take root. I also think our obsession with adding more and more traffic signs to our roads is counterintuitive. People tend to drive more recklessly when they feel they don’t need to anticipate and pay attention. Road signs and safety features have been proven in some cases to reduce driver awareness or increase complacency and in many cases have no impact on safety (they just make our city uglier). This one is no secret but the article has some great data. It is applicable to Roswell primarily in the Groveway area as it is the only area in our city that has a true grid system with potential to be built out as a Mixed-Use environment (if you assume our NIMBYs will continue to block any action at the HBR/400 interchange). The study basically concludes that as net residential density increases, daily vehicle miles traveled per capita decreases. It talks about the added benefits of the grid distributing traffic more evenly than the sprawl arterial system as well as the park-once ability when visitors come to a mixed-use area. There isn’t a need to go back to the car to drive to the next parking lot over. Why? Because it’s more interesting to walk there. I had originally thought this article in the AJC addressing recent Stadium cost overruns and overzealous revenue projections would be appropriate for the Top 5. However, I loved the idea from Curbed Atlanta that we need a soccer stadium instead of a new NFL stadium. Recruiting an MLS team to Atlanta would be big. Curbed thinks the right spot for a soccer specific stadium would be along Northside Dr by the Atlanta Water Works. However, I think our own 400/HBR intersection would be a really sweet spot. Roswell, could stake a claim to a sports franchise and it would then make even more sense for a MARTA connection in Roswell. We have a large Latino community and the northern burbs are ripe with young soccer talent that would love to attend the games. The Real Salt Lake team is located in the suburb of Sandy which is very similar to North Fulton in demographic... it’s worth a shot. We’ve written about Christopher Lienberger here before. He basically coined the dichotomy of Walkable Urbanism vs. Drivable Suburban development. He makes the case as we have as well that walkable urbanism is spreading beyond our large city centers and actually into our smaller cities and towns. This is mainly due to a change in preference amongst our two largest generations. This is nothing new but reaffirms virtually everything that NUR is about. Roswell, needs to get in gear quickly to meet the coming storm of demand/need for walkable urbanism. It's looking like the city may be awarding a $110k contract to a team led by planning and landscape architecture firm jB+a at Monday's council meeting. This comes as a surprise and small disappointment to us as two of the three finalists for the contract were Tunnel-Spangler & Walsh (TSW) and Duany, Plater-Zyberk (DPZ). These two firms are at the forefront of New Urbanist planning. TSW master planned Glenwood Park, Woodstock Downtown and the modification of the DPZ Vickery Village town center plan. DPZ is known most notably for their designs of the towns along the beaches of South Walton, Seaside, Rosemary Beach and Alys Beach. Comparing the three firms, it's quite obvious where the experience is. DPZ has master planned over 200 villages and town centers. TSW has master planned over 100. jB+a has a more challenging resume to figure out in the master planning area but they did do work on the Sewanee town center and presented plans that they did for the downtowns of Mooresville, NC and Macon, GA. When you're in the market for a heart surgeon, who do you want performing the procedure? A Resident (JB+a), A General Surgeon (TSW) or the Best Heart Surgeon in the World (DPZ)? We love this. The city is planning on taking down a number of no parking signs along Mimosa. You know how we love those road signs. While they are at it, they will be installing 8 bulb outs along the street to bring curbs closer to the traffic lanes. This will improve crossings and aesthetics and help reduce speeds on the road . The project will also add 7 parking spots along the street bringing the total to 141. Here's a link to the proposed map. Norcross-Grimes Roundabout Update - The roundabout is finally functional. I’ve used it about 10 times in the past few weeks and so far I love it. I have seen a couple of confused drivers and I’ve heard one honk at someone who wasn’t paying attention. I’d love to see some stats on how many accidents there have been since it opened. If there have been any, they surely can’t have been too bad as the speed within the roundabout has been low as predicted. Midtown Streetscape Project - The finishing touches are being put on the landscaped islands on Alpharetta Hwy. The first one is just north of the Norcross St intersection and the last on is at the Hog Creek Bridge. This one will be the largest. I’m still concerned about the lighting and overhead wires. To spend all of this money on streetscape improvements and overlook the most unsightly piece of the streetscape (aside from the crappy buildings along the corridor) is a disappointment. Historic Gateway Project - This project was included on the final list of projects submitted to the regional transportation roundtable. It will be reviewed for potential inclusion in the list of projects that will be included in the regional sales tax initiative that is going to be on the ballot next year. Among the changes sought, according to Tolleson, is shifting density from the southeast quadrant of Ga. 400/Holcomb Bridge to the northwest quadrant. And instead of designating Holcomb Bridge Road as a commercial corridor, it would be the lower impact designation of neighborhood commercial, which would allow businesses “that support people who already live here, not the people passing through,” he said. You can take that for what it’s worth but I think it’s a classic case of ‘we don’t want that type of people getting any closer to our space here in East Roswell.’ Also, what in the world is ‘lower impact’ ‘neighborhood commercial?’ If that is another way to say, ‘exactly what we already have,’ then I’m 100% against it because it’s not going to work in the years ahead. A survey conducted by McKinsey & Company in 2008 found that by investing $26 billion to $46 billion in transportation infrastructure, including light rail, Georgia could increase its gross domestic product by $114 billion and create 230,000 jobs over the next 20 years. YIKES! This is well above the national average of 22.7% according to CoreLogic. Prospect Park is about to have a new owner. North American Properties plans to purchase the land and build a more realistic and less grandiose mixed-use center on the 106 acre property. They will begin community outreach in the coming months. You may recognize North American Properties as the company that purchased the retail and some of the office space in Atlantic Station last year. I believe they have done a good job engaging that community thus far to find out what they want to see at Atlantic Station. image: Atlanta Business ChronicleBidding will open at the end of this month to improve linking the Buckhead station with developments on the north side of the station. This is a great step to making MARTA more functional within neighborhoods (albeit wealthy a wealthy neighborhood) and job centers. image: Creative LoafingThis is complicated and I find that generally when things get complicated, we’re doing something wrong. My understanding is that the deal is being held up because the US Parks Department of the Dept of the Interior is not comfortable with what potential owner/devolper Jamestown Properties wants to do with the long vacant building. Jamestown is applying for some $15M in tax credits??? Do they really need $15M in tax credits to make this thing work? It’s a gem in an area that is revitalizing. I think both sides need to give a little here. I’d love to see this building get put to good use. It’s a great pice of historic architecture in our region. image: Historic 4th Ward Park ConservancyThe loaf has a good quick update on what is going on with the parks and trails along the Beltline. The park in Old Fourth Ward was recently ‘officially’ opened and it has been getting rave reviews. Just from the images I’ve seen, it looks incredible. One of these days, I’ll make my way down to check it out. image: SiemensThis is a $17M+ contract with Siemens. The city is expecting delivery of the first car in September 2012 with revenue service starting up in early 2013. The Siemens facility in Alpharetta will be doing much of the work on the propulsion systems for the new cars. image: Reporter NewspapersThis is a win in the Buckhead area. Buckhead is great but it does have Atlanta’s lowest acreage of parks per capita. The trail system is a partnership between several organizations including the PATH foundation, Buckhead CIT, Atlanta City Council and others. The trail will begin at Loridans Drive just south of the toll booth and will continue 4.5 miles into Midtown also connecting with the Beltline trail system. image: GDOTWill we finally be able to go northbound on I-85 from GA400 South? Will those traveling south on I-85 be able to get on to GA400? Looks like it’s happening. You can thank the GA400 toll for this one. image: Midtown PatchThis looks like a nice project. It’s interesting to see another tower going up in Midtown in this environment. The economics of apartments are definitely different than those of condos/lofts right now. I’ll be interested to see how this one pans out. Midtown is obviously doing well but I’m not sure it needs another tower right now. However, it’s definitely better than a surface parking lot. The Georgia Public Service Commission would like to see plans in place to significantly increase the state’s renewable capacity given the increasing volatility in traditional energy markets. It seems like I’m only able to get around to this on a monthly basis. Good thing this isn’t my full time job. I wanted to be sure to get this up since there have been a ton of newsworthy events in the past several weeks that I want to comment on. Norcross-Grimes Roundabout - Our Roundabout is almost complete. I’m looking forward to testing it out one of these days. Midtown Streetscape Project - We’re beginning to see this take shape with the sidewalks almost complete, the bridge finished and historic lighting going up. This is very exciting. I’m sure the street paving will be coming soon. These two plans have definite New Urbanist DNA with Tunnel-Spangler & Walsh being a member of the Congress for the New Urbanism. So, Doraville has finally moved forward with a plan for the former GM plant and Decatur approved its 2010 strategic plan. This is great news for the region and another win for the ARC’s Livable Centers Initiative. Thank goodness! They expect construction to resume in late 2011. Another win around the SoB. People need to walk in that area. 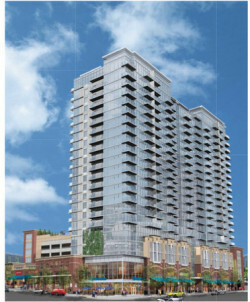 More good news for logical mixed-use development. The vote rezoned 82 acres west of the Hooch from heavy industrial to planned village community. The neighborhood is approved for 155 single-family homes, 332 town homes, 165 condos, 200 senior units, 850 apartment units, and potential retail, restaurant and other commercial space. There is still some concern over the proximity to heavy industrial business and that will need to be resolved somehow. The walkable urban vibe is attracting the young professionals intown. There are affordable places with great amenities. Had this type of atmosphere existed in 1999, I doubt I would have ended up in Sandy Springs. No surprise here. There is a bit of everything on this list. However the tide has really turned toward transit in the last couple of years. Atlantans have seen what other regions such as Denver, Dallas, DC and Charlotte are doing with transit systems and they want in. Now, how does the list get pared down? That will determine how much support we have. This is a really interesting vision for the transit system in the northern burbs. It's just a vision. Decatur made this list which isn’t really a surprise. They have a number of high profile programs that encourage walkability in the heart of the city. Also, it helps that there is a MARTA rail station right in the center of the square. We lost out on the top spot to those pesky NC cities Raleigh and Charlotte. The ranking was done by Forbes Magazine. They say that the average Atlanta household drives 21,300 miles a year consuming 1,050 gallons of gas eating up about $4,200 at today’s prices. Start factoring in car payments, insurance, maintenance and depreciation and you’re talking real money. .........Newsflash......... There aren’t many alternatives. NIMBYs, politicians and others others are convinced that transit is a boondoggle that should never be considered when we could just build more roads. Now that we have ours, everyone is going to jump on the roundabout bandwagon. Parking on Canton St, Beltline Progress and Regional Transit? I’m sorry it’s been so long since my last NUR Review. I’ve been sidetracked with another project I’ve been working on. We’re catching up on news since early February so some of the news might be a little dated. If they are going to do this, it needs to be all or none. Also, do not cut out the automobile traffic and make it into a pedestrian mall. There is not enough density to support a pedestrian mall in our area. The city voted on a list of six projects to submit to the Regional Transit Roundtable. The six projects are the Highway 9 Historic Gateway, Big Creek River Bridge Phase 1, Big Creek to the River Multi-Use Trail Connection, North Fulton Cross County Trail Connection, Houze Road Operational Improvements and Holcomb Bridge/GA 400 Interchange Improvements. I think that all of these are necessary and the list is appropriate for our municipality. now, we won’t be getting all of them but I’m sure we’ll see one or two make their way into the regional list of projects. So, this isn’t our usual type of news review. However, this could be very interesting for Roswell and N.Fulton. Cruzeiro has a huge youth program and could bring major attention to N. Fulton. The facility would need about 100 acres, could have 18 fields and investment could be $20 to $40 million. This might be something nice to put in or around the Holcomb Bridge/400 interchange. We need to seriously start looking into ideas like this here in Roswell. The state of empty big-box retail and car dealerships in our city is dismal. This could be neat.. but it’s still AMTRAK. Again.. please... make this happen!! This is some very interesting info on what makes a job a job. When you hear about how many jobs a project is expected to create, economists, politicians and developers have a pretty nifty way of making things sound better than they actually are. It's becoming an reality. I can't wait to go for a walk on the trail. If you haven’t seen this park, it’s a true gem thus far. Great addition to Atlanta’s park system and it’s also another piece of the BeltLine that’s starting to take shape. This makes total sense and the city should work to make this happen for the long term success of both projects. 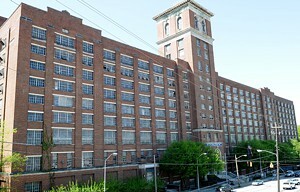 Another neat project that’s near the BeltLine. More good news for City Hall East. Please just do something here. 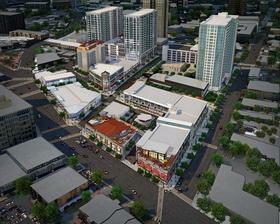 Alpharetta may be looking to revive its City Center project sometime soon. I'm looking forward to seeing their idea. Thankfully, the new owners are planning to do something with the retail in Atlantic Station. I’d love to see a more local and regional focus. New ownership and new life have people much more optimistic about the SoB these days. Let’s hope they get the cranes moving again. Smyrna is starting to feel a little optimism about development.